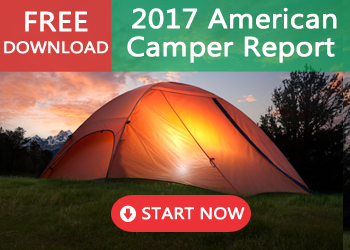 These days there are backpacking tents available for campers of all experience levels and budgets. With so many high-quality products on the market, it can be hard to decide what is right for you. In this article, we’ll look at one of the most respected names in outdoor gear—Mountain Hardwear. Mountain Hardwear tents are some of the toughest and most versatile tents on the market, but they also have some options at competitive prices. 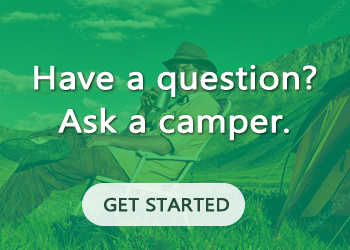 What is a Mountain Hardware Tent? In this overview, we have compared and contrasted four different Mountain Hardwear tents. We looked at a number of different factors for each of these products including ease of use, comfort, design quality, and durability. We also have a simple breakdown of some pros and cons for each of these Mountain Hardwear tents. In the end, we chose one overall Top Pick based on all these factors and, of course, price. Mountain Hardwear was founded in 1993 after a group of former Sierra Designs employees decided to strike out on their own. In their early years, Mountain Hardwear was singularly focused on making the toughest gear available for top-end climbers and mountaineers. The company is now owned by Columbia Sportswear and they offer a wide range of technical gear and clothing appropriate for the local ski hill and the deep backcountry. Throughout their history, Mountain Hardwear tents have been some of the most innovative products on the market. They offered the first rain fly with a window and also introduced welded seams to the market. Mountain Hardwear’s welded seam technology along with their proprietary Conduit waterproof material revolutionized comfort and durability in waterproof clothing and gear. Mountain Hardwear tents have been a go-to for hobbyists and pros alike since they hit the market. In 1999 a Mountain Hardwear tent even sheltered the first-ever overnight stay on the summit of Mount Everest. If you’re looking for a tough, comfortable shelter it’s definitely worth considering Mountain Hardwear tents. The thing that sets Mountain Hardwear tents apart from the rest is durability. These tents have become synonymous with long-distance treks in remote areas and adverse conditions. They are a common sight in documentaries about Antartica, Greenland, Everest and other such inhospitable climates. On these kinds of expeditions, a reliable shelter is not only a comfort but also a safety concern. A combination of high-denier nylons, ultra-tough zippers, welded seam technology, and excellent construction quality make these tents truly bombproof. Though the most iconic Mountain Hardwear tents are usually their four season shelters, they also compete in the light and ultralight categories as well. For their lighter tents, Mountain Hardwear cuts weight by using slightly lighter nylons, more minimal pole designs, and smaller overall areas. Between their pro-grade winter tents and ultralight backpackers, they have something for everyone. Because of the wide range of options and applications, Mountain Hardwear tents come in a range of prices. Their high-end expedition tents can range up to around $600 while their lower-end tents can hover around $150. That said, prices fluctuate widely on this type of gear depending on seasons and demand. The Trango 3 tent from Mountain Hardwear is amongst the toughest four-season tents on the market. It’s a three-person tent with more than enough internal space for adults. Gear is stowed in front and rear vestibules. and the rain fly boasts several windows, which is a signature of Mountain Hardwear tents. The internal area of this tent offers plenty of headroom to sit up, move around, and change clothes. This will be especially nice for those taking the tent out in winter conditions. Due to the Trango 3’s heavyweight nylons and dome fly, it does sacrifice ventilation. This could be a significant issue for those trekking into mountainous areas that are warm at base level but extremely cold up high. This is technically a four-season tent, but we would really only recommend it for cool temperatures. This tent is for those who need a tough, reliable, and proven shelter for conditions that could be life threatening without the right gear. Setup is easy, but one star has been withheld due to tough access to the rear vestibule. This tent is spacious, dry, and warm for cool temperatures. This tent could benefit from more ventilation and improved rear vestibule access. This is amongst the most tough tents available on the market. Industry leading DAC Featherlight NSL poles. The UL in Mountain Hardwear’s Ghost UL 1 tent stands for ultralight and this tent is light as a Ghost. Weighing in at only one pound and eleven ounces, this is amongst the lightest single-person tents available on the market. It also packs down to nearly nothing in a small cylinder that is also amongst the smallest pack size. The Ghost uses a minimal H-style pole system that lacks some support alone but is more than sufficient when staked out. This tent has lots of high-quality ventilation, but it’s not huge. The floor area is a slim 16-square feet with a max height of 34 inches. Those stats bring this tent down into the range of some bivy structures; but fortunately, it’s just as light as most bivy tents. The rain fly does leave some aspects of the tent wall exposed, but it should keep you warm and dry in all but the absolute worst weather. This tent could be an excellent choice for the solo backpacker who wants a little more space than a bivy shelter but wants to stay ultralight on the trail. 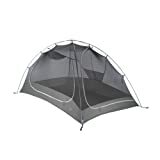 This tent currently sells on Amazon.com for around $250. This is a simple, no-frills tent that sets up in minutes. The interior is spartan, but what you lose in space you gain in a lightweight design. The Ghost has a nice balance of features for super lightweight tents. This will be amongst the toughest ultralight tents out there. The Hylo 2 is another entry into the “maximum weather” category on this list of Mountain Hardwear tents. This is a partially single-wall design tent, meaning that the rain fly is integrated with the tent wall as opposed to two different pieces. Since it’s a single piece, this tent will make for a quick setup and those few extra minutes could be huge when you’re stuck out in rough weather. The floor area of this tent is 27 square feet. That’s not huge for a two-person structure, but it’s a nice size for a single person with gear. We’d recommend keeping this to single-use as there is also only one door and it’s on the small side. There are a couple of downsides to this tent: weight and ventilation. At around 4 pounds, it’s pretty heavy for a single-person tent or even a two-man tent. Like most single-wall tents, it also lacks some ventilation. This tent could be a nice option for a single person who doesn’t plan to backpack far or wants a simple and easy-to-use structure for excellent weather protection while car camping. This tent currently retails between $150 and $300 depending on season and retailer. Single-wall and hub poles make for a quick setup. It will likely feel cramped for two adults. While super weatherproof, this tent will be warm in hot weather and chilly in cold weather. Similar to the Trango 3, this tent will outlast most others. The Optic 2.5 represents one of the latest innovations offered on Mountain Hardwear tents. This tent is aptly named because it can provide views offered by no other tents on the market. The innovation of this tent is that the two doors are side by side, with one on the broadside and the other on the narrow side. This gives the option of rolling back the fly and using one whole corner of the tent to gain ventilation and scope out the views around your campsite. It’s a big, comfortable tent, and the size is represented in the weight. The Optic 2.5 is over six pounds at packed weight, so it’s probably a better choice for car camping than backpacking. Another shortcoming is the rain fly. This is a double-wall tent, but the fly leaves the tent walls partially exposed when entering and exiting the tent through the vestibule. This could be a big problem while you’re stuck in a rainstorm but nature calls. That said, this is a fun and forward thinking tent for those looking to enjoy a nice view on a mild night. This tent currently retails for around $160 on Amazon.com. This is an easy setup, but be careful when entering and exiting in the rain. The Optic 2.5 is big and comfortable for two adults with gear. The corner doors are innovative but one point is withheld for poor rain fly design. This tent is super tough. Mountain Hardwear tents have been a stalwart in the backcountry since they first hit the marketplace in the 1990s. Though this company has broadened their focus from climbers and mountaineers to the general public, they still make some of the toughest gear around. From tent fly windows to corner doors, Mountain Hardwear tents have been some of the most innovative products in the outdoor gear industry, and they show no sign of slowing down. These are not the lowest priced tents on the market, nor the lightest. If, however, you’re looking for a tent that could outlast all your other gear than Mountain Hardwear tents could be the best option. They don’t specialize in catch-all tents geared for the average three-season hiker. These are much more activity-specific products with certain climates and uses in mind. Keep that in mind as you browse through the different Mountain Hardwear tents to make sure you’re picking a product that meets your needs. If you’re looking for something light and minimal, check out the Ghost UL. For total weather protection go right for the Trango 3. 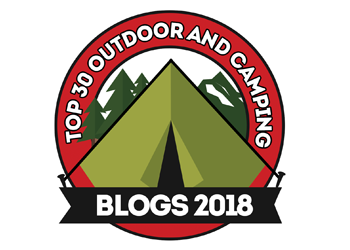 Our top choice from this list of Mountain Hardwear tents is the Trango 3. This tent is not for everyone, and we’ve chosen it as much for its industry relevance as actual performance. The Trango 3 represents Mountain Hardwear’s place in the outdoor industry as the maker of gear that is so tough you can bet your life on it. This is by no means the only super tough four-season tent on the market, but it’s one of the most widely available for hobbyists seeking new challenges. The Trango 3 is an absolutely bombproof tent that will keep you warm and comfortable in the most intense weather. It’s also got more than enough space to keep a few of your closest friends comfortable too. Mountain Hardwear has produced some historic pieces of gear, and this tent is destined to become one of them.